Irene Lasivita completed a new mural in La Paternal a couple of weeks ago entitled ‘The Goat and the Wolf’. Nico from Primo finished this new mural on a street corner in Núnez, Buenos Aires a couple of weeks ago. 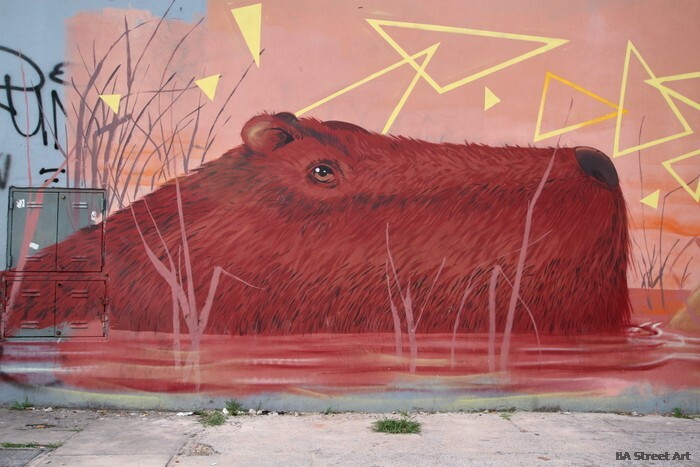 Bro and Tamaso rounded off 2015 with this new mural in Palermo. Exclusive photos by Buenos Aires Street Art.